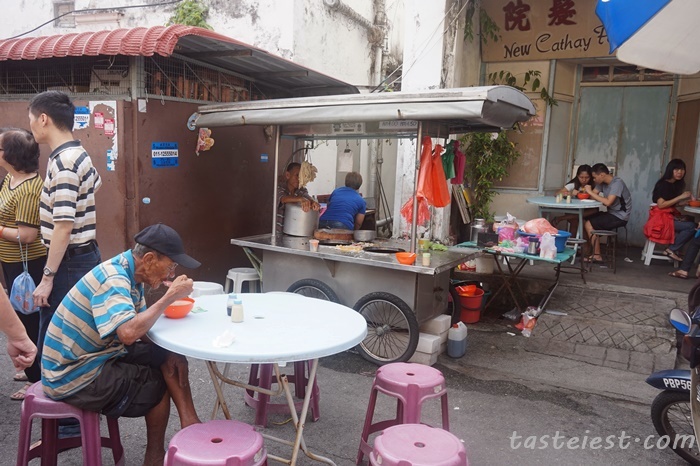 Toh Soon cafe located at Penang Georgetown Campbell Street which are next to the famous Kimberley Street that has great hawker food such as the famous Kaoy Chiap and Dessert. 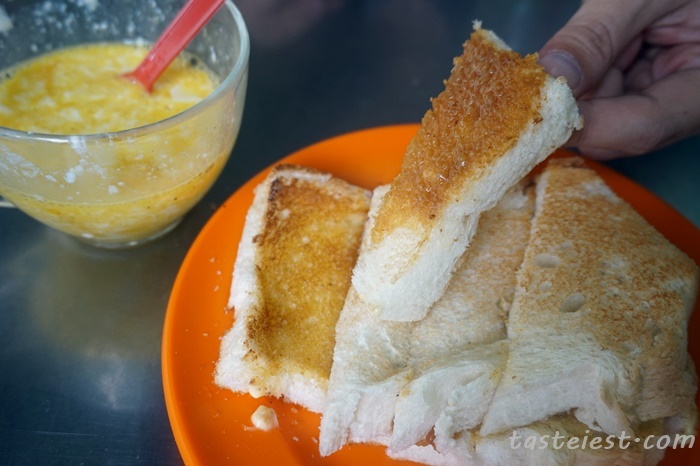 In the morning Toh Soon Cafe which hide in a small alley are famous for their charcoal toast bun with their secret recipe of Kaya and butter. 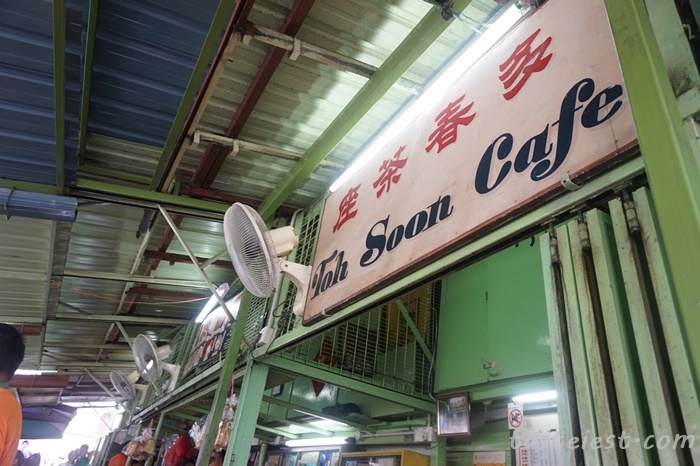 Another highlight is definitely the Hainan Coffee and Nasi Lemak. 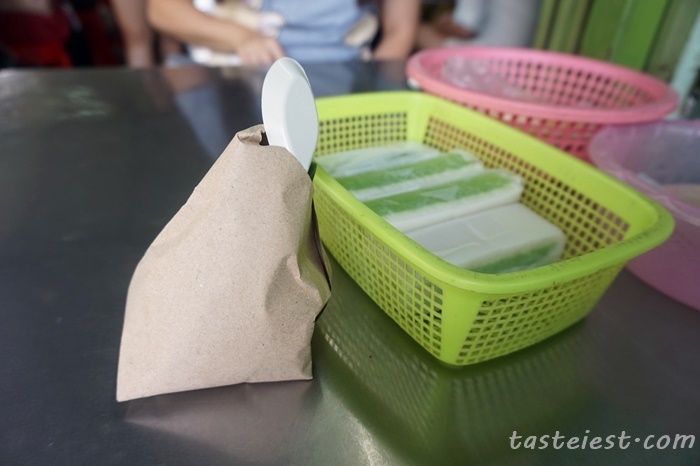 While waiting for our bread and coffee, on every table there is Nasi Lemak and Kuih. 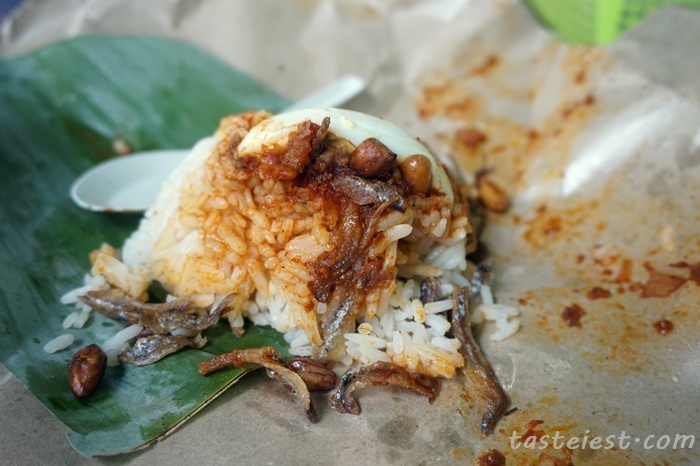 Try the nasi lemak and love it so much, the chili paste is not too spicy while the crispy anchovies really taste good. 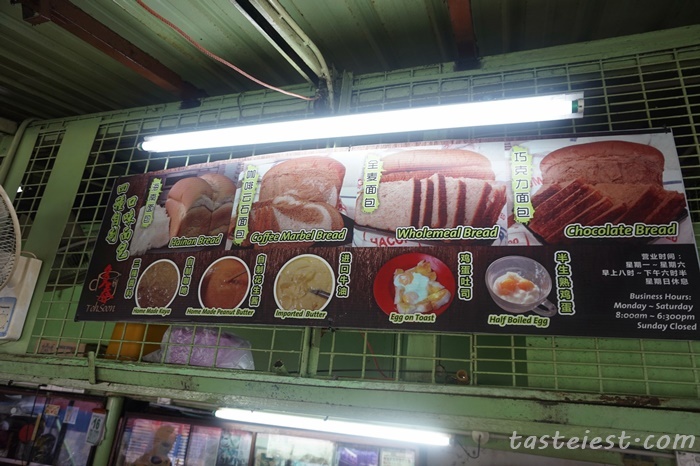 Different type of bread combination such as Hainan Bread, Coffee Marbel Bread, Wholemeal Bread and Chocolate Bread are available. 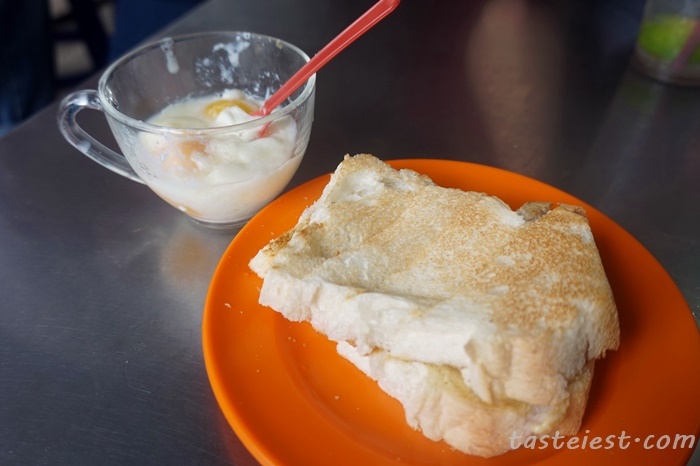 Their signature homemade Kaya and Peanut Butter is a must order, it taste so good. 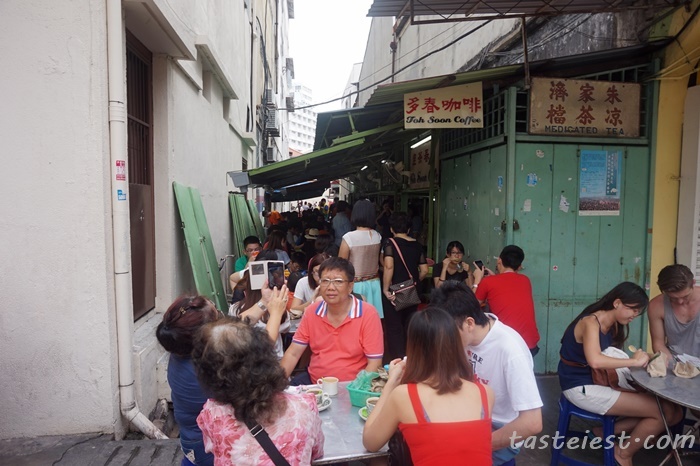 It is so crowded on weekend, most of it are tourist who came here to enjoy a cup of Penang coffee. 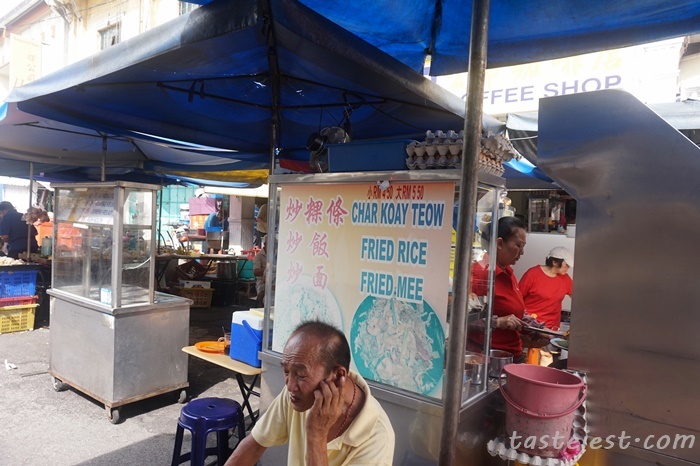 Well, if you have not enough food like us then walk across the road to Kimberly Market and look for this hawker that sell pork porridge. 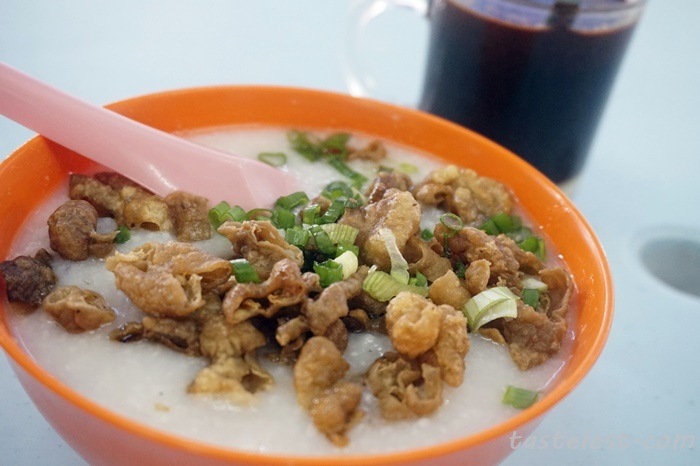 The deep fried pork intestine is so crispy and delicious, porridge are so smooth in texture as well. 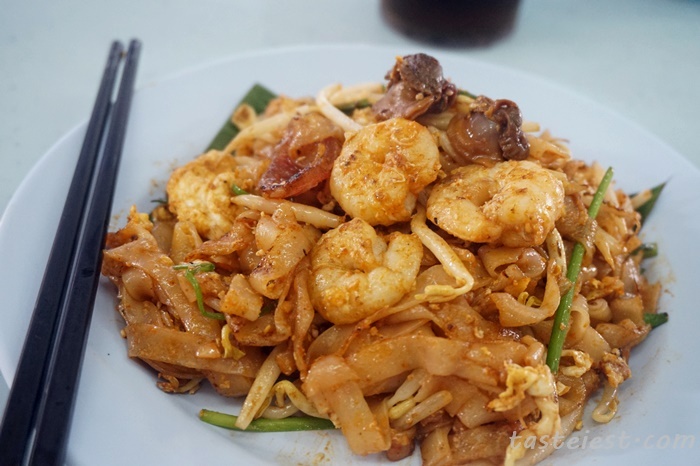 Char Koay Teow inside coffee shop also not bad, reasonable price. Please do not promote this particular coffee shop. 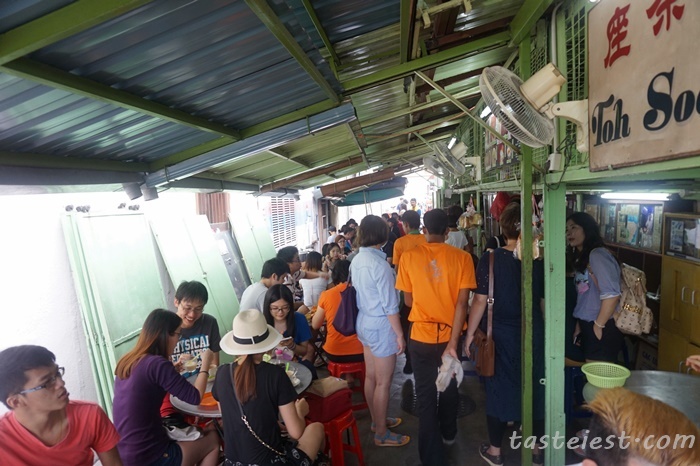 It is mostly crowded with local visitors, causing a really long queue. 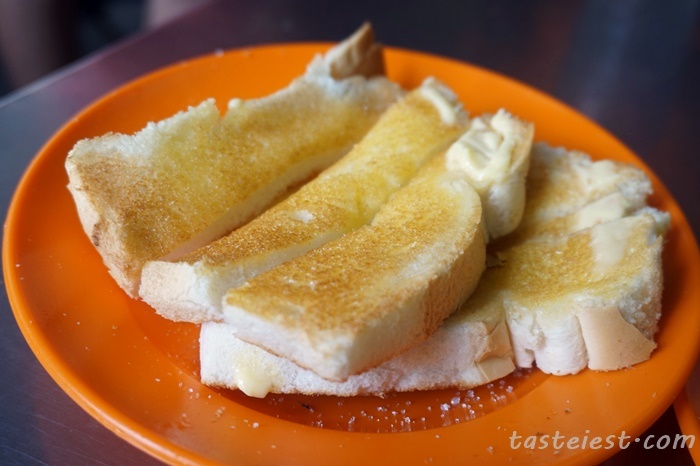 This also adds to the disappointment of the bad toast that is considered to be famous? 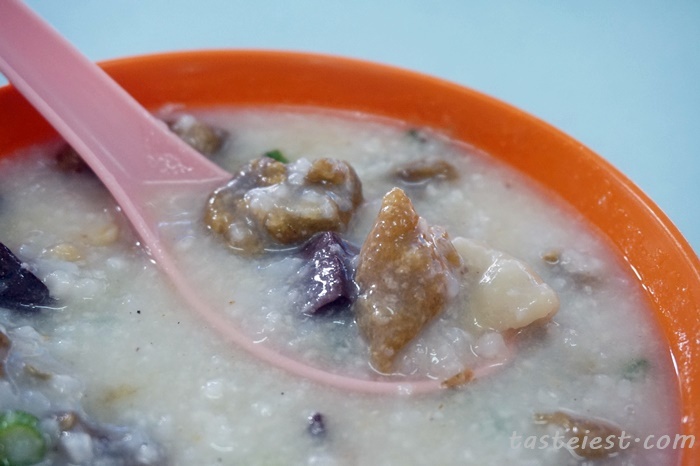 This is definitely not worth the time and money.